n.i.f.t.y c.r.a.f.t.y: Hello Little One! I picked ivory color for the card base, and layered Swiss dot card with another layer of adorable pink patterned card and formed the base design. 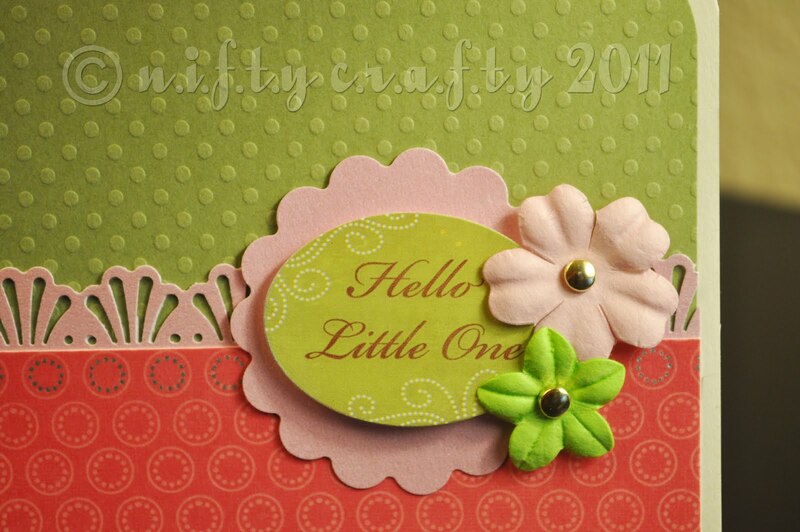 The metallic pink scallop circle holds the message "Hello Little One" with coordinating handmade prima flowers. 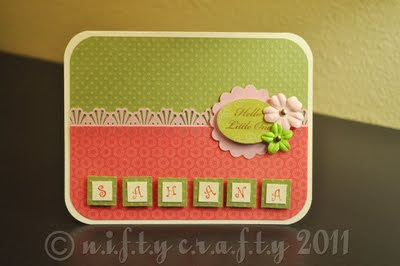 The bottom of the front design has the baby's name personalized using hand-stamped alphabet stamps. A handmade baby stroller has been used to decorate the inside of the card. Since I used the same set of cards to make the baby stroller...I decided to place it inside. The fun part was putting them together...and the challenging part was assembling the bits and pieces! 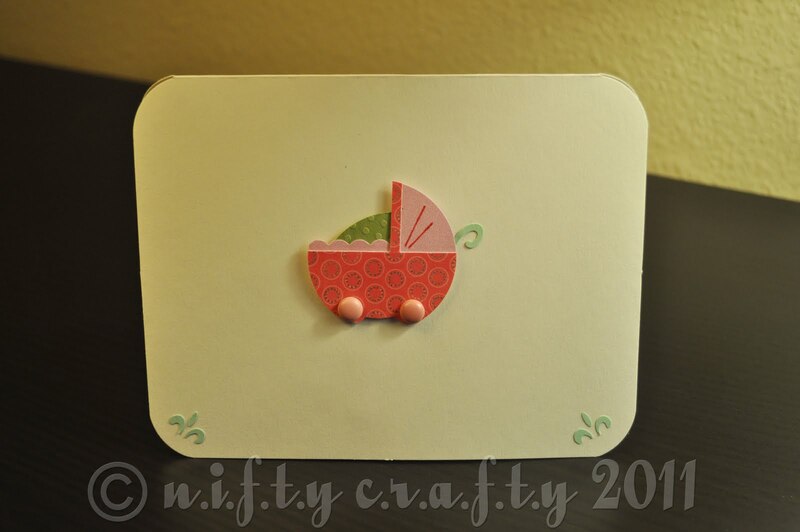 I love making my own embellishments...especially flowers of all kinds, tiny objects such as the baby stroller on this card, the little car which I made for the father's day card and other quilling decorations. It was my very first try at making prima flowers using a simple embossing technique. I was pretty happy to see at the outcome as it feels so real to touch....and I can't wait to try out more of these using different colors and sizes of petals. 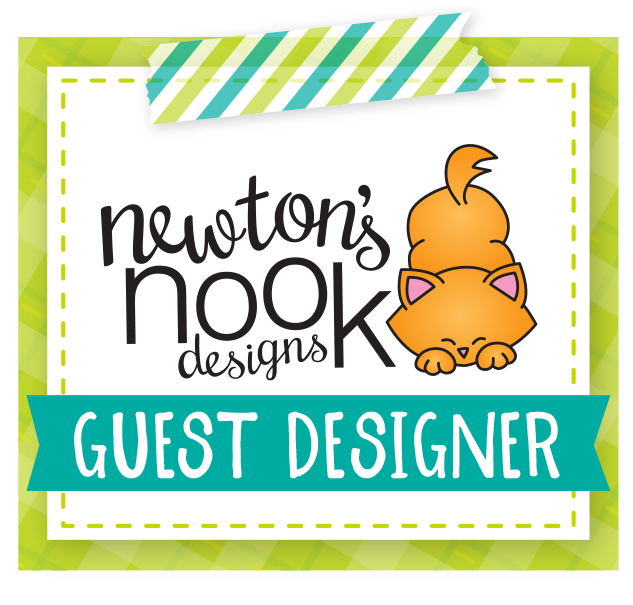 Look for more on my upcoming posts. The handmade baby stroller was so cute.The cards for my nieces are as special as they are to me!